As I had a chance to play with it some time ago and try it on my wrist, so let me share some observations. 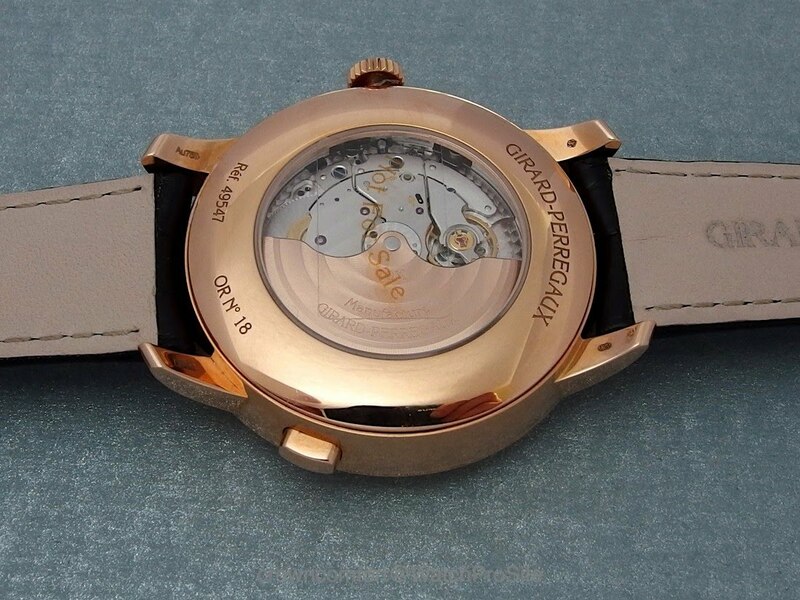 It comes with a similar asymmetrical layout, displaying the months at a rotating disc with a dial opening and the date in an extra small subdial. The Equation of Time unfortunately has been dropped, possibly to save space on the dial as it now requires a leap year indicator. 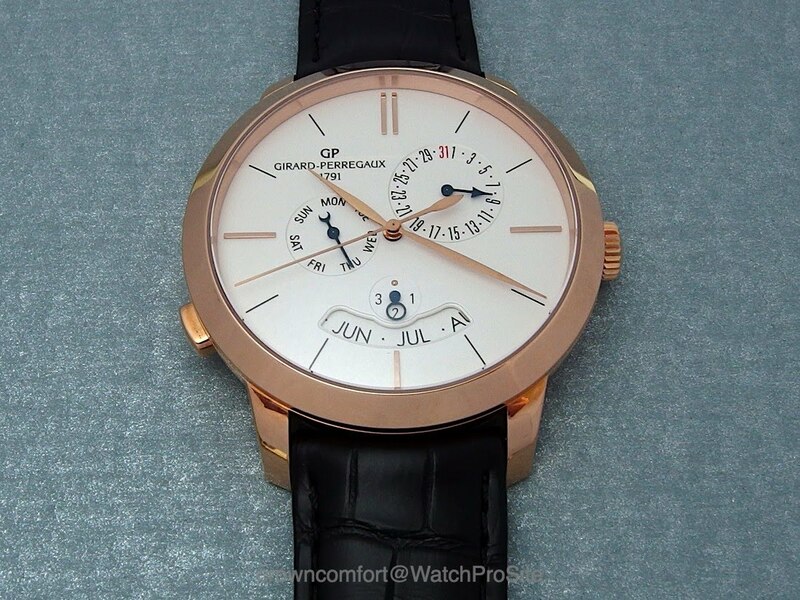 The Leap Year indicator is typical GP and quite playful with the “loupe” style hand. Like that extra touch of being different! Another difference is that the Perpetual Calendar has a quick date set button at 8 but can still go without extra setting pins. From the back side no real surprises, you have the Caliber 03300-0096 also with free-sprung balance and Microvar balance wheel, but compared with the Annual Calendar, it seems to me that the “perpetualness” has added quite some thickness to the case. 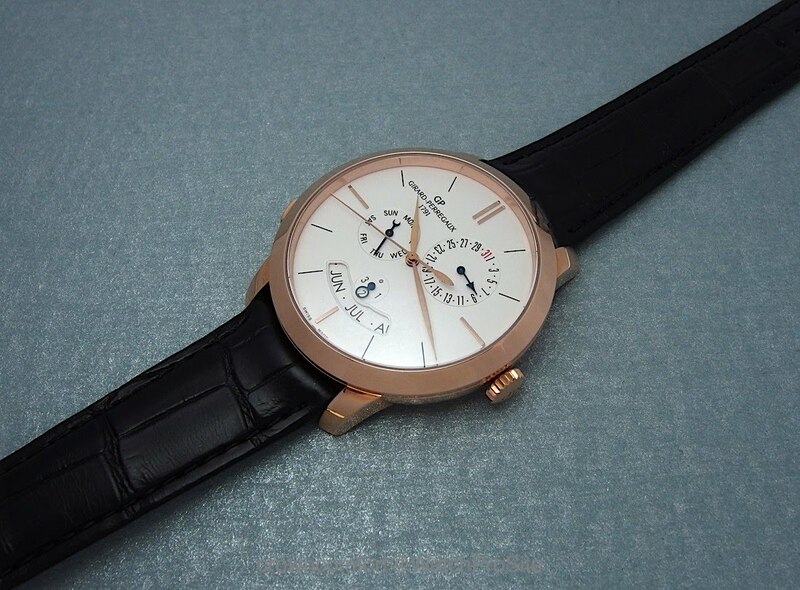 The Case is 41mm in diameter and 12.55mm high, while the annual calendar is 40 / 10.72mm. 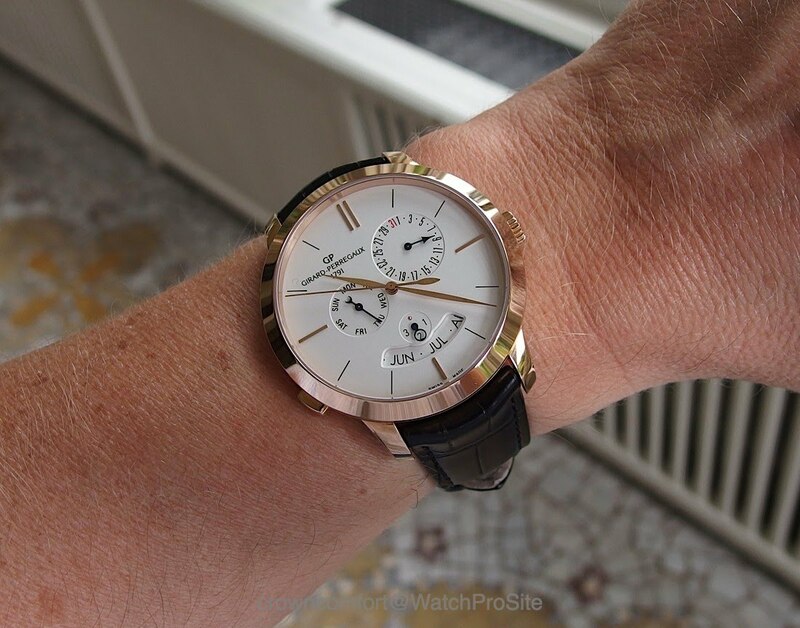 Available right now only in pink gold with the white opaline dial. And it works well on the wrist. So the question is, which do I prefer? 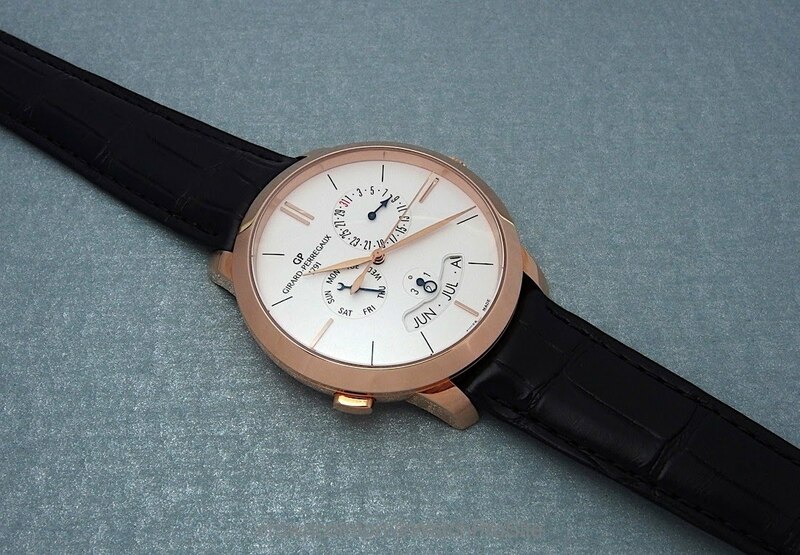 Having a perpetual calendar is of course a much more elegant complication than “just” and annual calendar but then on the other hand, the annual calendar has the Equation of Time. 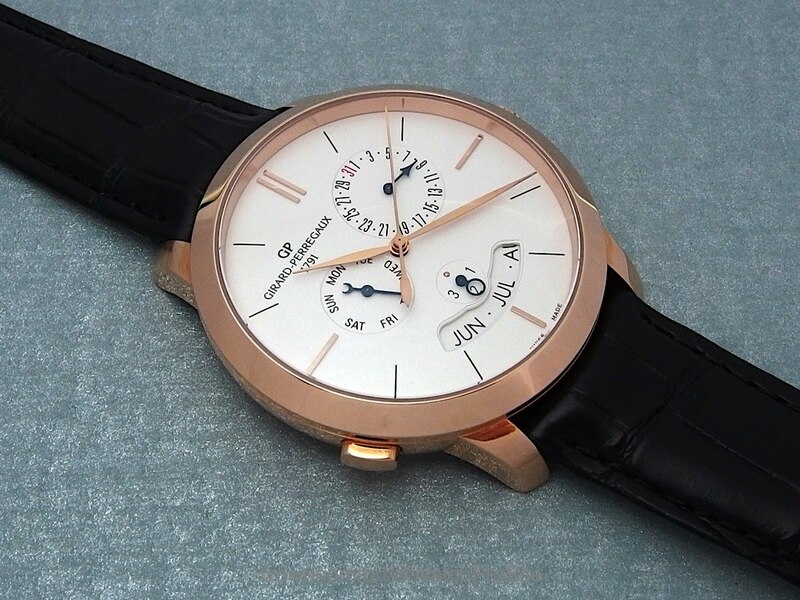 I think I still prefer my Annual Calendar 1966 but if I would be in the market for a pink gold Perpetual Calendar, the GP 1966 would be a worthy contender. Sober, elegant, legible, this is a good offer from G.P. Now, add an Equation of Time, and make it in white metal, too, and it would be even more interesting! I hear you, although I think on that dial it would be hard to add an EoT without causing too much clutter. Beautifull and unusually look for a annual calender, even more with equitation. 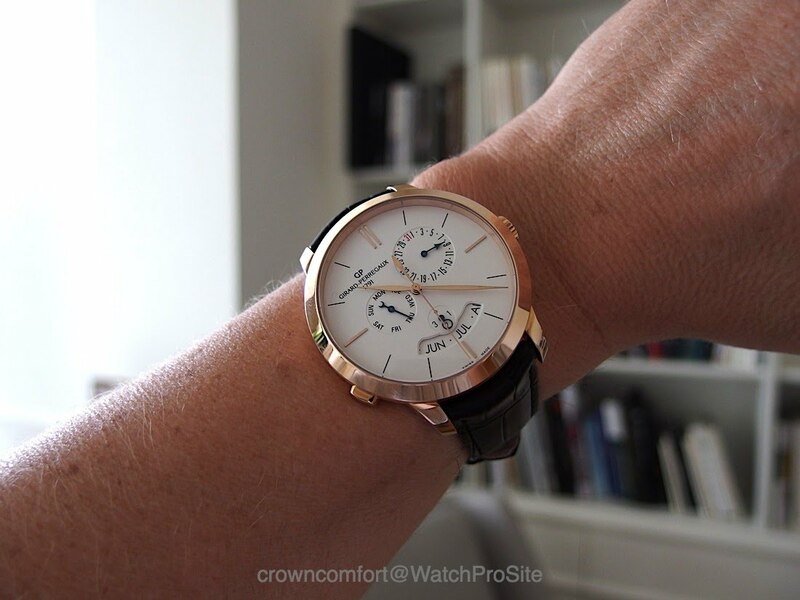 Very nice and elegant watches. Thanks for share! All of the 1966 series is so beautiful... but I really love these beautifully balanced, asymmetrical models. CC, what does the big button on the side of the case do? Thanks jporos...yes, the asymmetry is great. the button if I recall correctly sets the day of the week. Thanks Gelato, it is indeed very elegant. Really like how they presented a different take on the perpetual calendar Especially the loupe leap year indicator. Definitely a perpetual calendar that doesn’t look overloaded. Thanks for the review, CC!